Can’t find a pump that fits? The dark navy “Summer” from Drew’s Barefoot Freedom® collection is what you need. Made in a generous 2E width, it has extra depth and a broad oblique toe shape to maximize comfort without sacrificing good looks. 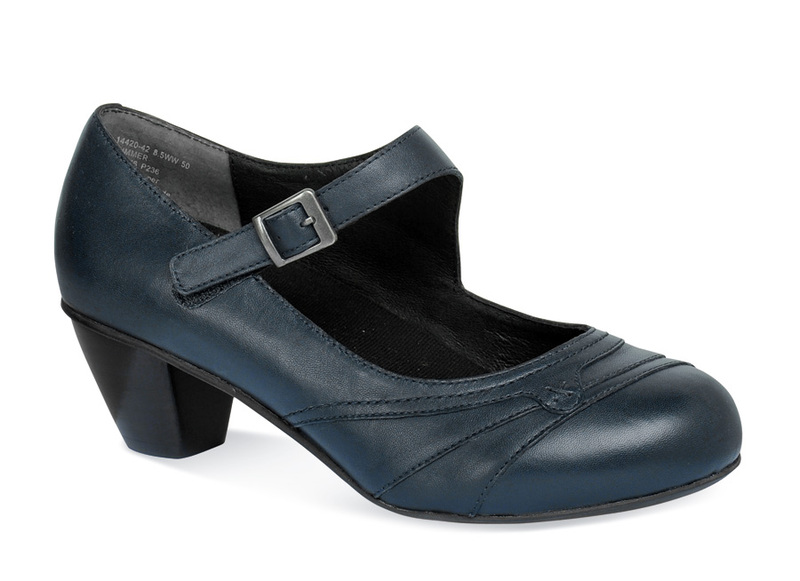 It has leather linings, a VELCRO® strap (the buckle is just for looks! 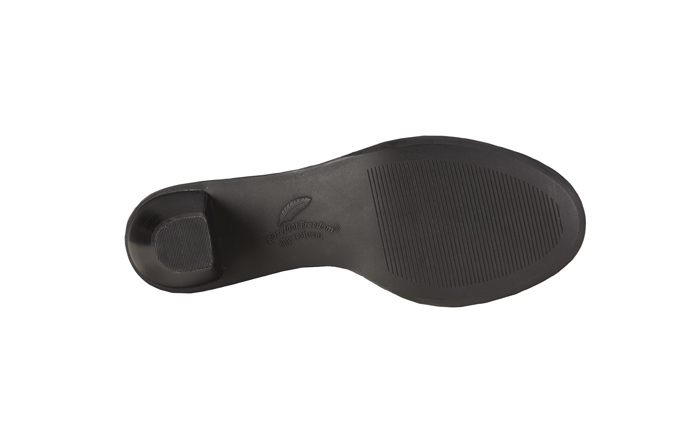 ), a removable insole (accepts orthotics) and a tapered 1½” heel. Originally $169.95. Limited stock in women’s 2E width in sizes indicated.